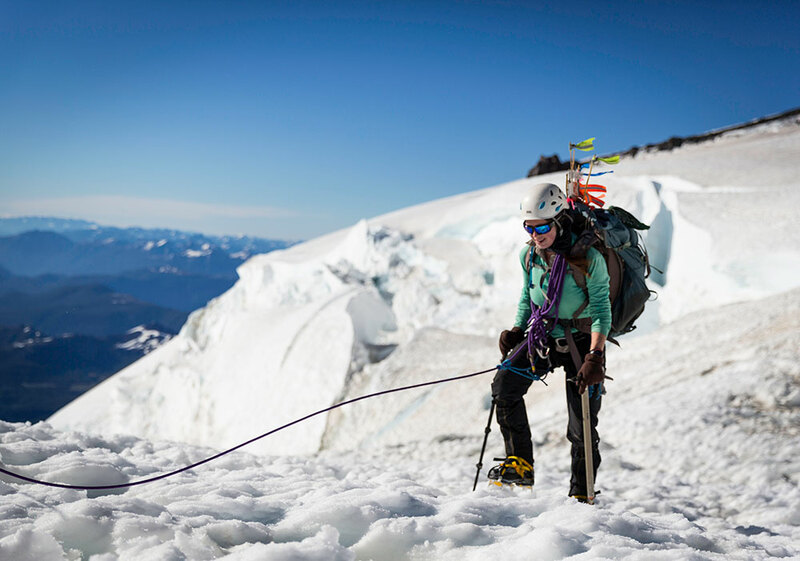 Want to learn more about climbing Rainier, the highest mountain in the Cascades? Contact us today and we will give you all the info you need. A successful ascent of Mt. 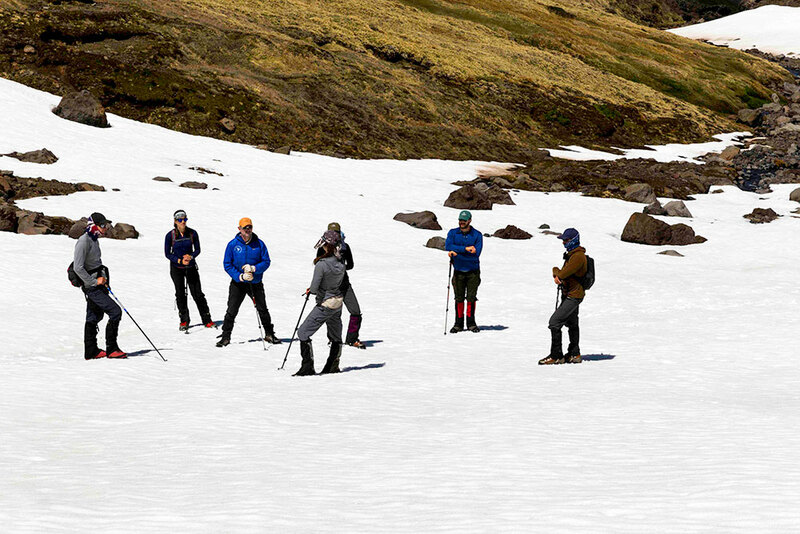 Rainier is an incredible achievement and the slopes provide an excellent training ground for skills practice and foundation for general mountaineering experience. It is one of the most classic of all North American climbs and a superb training ground for developing or refreshing mountaineering/glacier travel skills. The summit of Rainier is 14,410’ (4392m) above sea level. mountain. The first day hiking on the lower sections can range from hot, wearing just trekking pants and a light long sleeve shirt, all the way to freezing at night in camp. Rain or freezing rain is also a possibility on the lower days. If you follow the gear list and come prepared with everything we recommend, then you will be ready for anything the mountain will throw our way from an environmental standpoint. The Disappointment Cleaver Route is a considered a moderate technical climbing route because we travel in rope teams and the guides may use snow protection during certain sections, but the actual climbing is straightforward and can be ascended with proper crampon and ice axe techniques, which you will learn or review on the course. The route travels amongst crevassed glaciers, ridges and snow slopes of a moderate angle. The rest of the route is low angle to moderately steep ice and snow. It will require climbers to be fit and motivated day to day to get ourselves in position at the Muir camp to make a successful ascent to the summit.